In 1896, the Norwegian playwright Henrik Ibsen participated in a meeting in Stockholm, where a pan-Scandinavian approach to language was discussed. The meeting was related to a wider movement described as Scandinavism. Some hoped that the then two main Scandinavian languages, Danish and Swedish, would harmonise their spelling – perhaps even become one language. Unsurprisingly, even mild-mannered Scandinavians can be fiercely territorial when it comes to language. As a result, we now have four distinct written Scandinavian languages: Danish, Swedish, Norwegian bokmål and Norwegian nynorsk. Yet, there is one thing that has the potential to overcome all cultural particularities in its single-minded drive to appeal to our wallets: commerce. Products to be sold in the Scandinavian countries need packaging, and they must have labels with lists of ingredients, information on calories and the exact level of hygge they will produce. Printing separate labels for all the Nordic or Scandinavian markets would be rather expensive – this predicament has resulted in the concept of “Scandimix”. Scandimix is a form of multi-language adaptation: a process where the final translation of a source text is a combination of two or more languages. 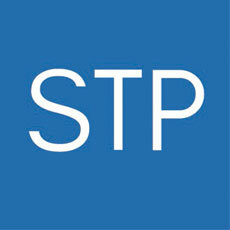 For us at STP, the usual combination is Danish/Norwegian/Swedish – and mostly in that order. Source: Gently shampoo and condition. Translation: Vask håret nænsomt/forsiktig med shampoo efterfulgt af/av balsam. The Danish translator has produced the first text (in green here), and the Norwegian translator has added any terms that the Norwegian audience might need to decipher the text (in orange here). From the Norwegian translator’s point of view, it can be both an advantage and a risk that Danish and Norwegian often use the same words for the same things. An advantage in that very little input may be needed. A risk in that there may be many false friends (the same words, but referring to different things). There is also the dilemma of the many words that are the same, but spelled differently. At the Stockholm meeting Ibsen attended, one resolution was to start spelling words more like how they are sounded. In Norway, that policy led to various spelling reforms, so that the word that in Danish is written brug (“use”) is now spelled bruk in Norwegian, reflecting the harder sound at the end of the word. If the word is essentially the same, would the Norwegian reader not still understand the Danish? The Danish word tjek (“check”) is pronounced similarly to the Norwegian sjekk (“check”), but the two spellings are so different that a consumer might well be thrown by only having one of them on their bottle of volumising leave-in lotion. Source: Do not use heat sources. Translation: Brug/bruk ikke varmekilder/Använd inte värmekällor. Danish and Norwegian use same words, but cannot agree on the spelling of one of them. Swedish (in pink here) uses a different word for “use”, “not” and “heat sources” – in other words, the entire sentence has to be added in Swedish, too. Another consideration is word order. Sometimes Danish syntax is so different from Norwegian or Swedish that just shoving in Norwegian or Swedish words as alternatives could seem random and make the sentence less, not more understandable. Source: A preliminary test according to accompanying directions should be made before use. Translation: Inden brug bør der laves en prøve ifølge den vedlagte vejledning/en forhåndstest i henhold til instruksjonene bør gjøres før bruk. The problem here is both different vocabulary and words that are spelled differently. The translator gave up on trying to make the Norwegian fit in with the Danish and just added the whole sentence after it. The Swedish translator simply decided that, between them, the Danish and the Norwegian made enough sense for the Swedish market and added nothing. In addition to the linguistic considerations, the Project Managers of a Scandimix project have some practical issues to solve. A Scandil, Nordil, Scandinavian or Nordic job – by any other word a Scanmix text smells as sweet – can be as fun to manage as it is challenging. On the one hand it is fascinating to see that small tweaks can make a text mutually intelligible across three different nations, and make a product label accessible to all consumers in Norway, Sweden and Denmark. In this way, it is an extremely useful, efficient and unique workflow. On the other hand, the Scandimix project introduces an unusual scheduling problem. The text needs to be done in the order Danish > Norwegian > Swedish. This means that the translators cannot work simultaneously in their respective languages. Timing is everything: a slight delay to one linguist’s workload can mean that the whole project is late. The Norwegian or the Swedish language adaptation may need to be placed with someone else if a time slot is missed. Delays are harder to avoid with Scandimix. The client may not be prepared for this: a shampoo bottle label is hardly an essay. But when up to six linguists are going to be looking at the same document one after another (especially if a revision step is included), a Scandimix project can easily take two or three days from start to finish. Add on to this feedback or updates from the client after the initial delivery, and another handful of words must again be scheduled in for 3–6 people. For PMs and linguists, Scandimix projects require a different approach from the usual (source language is translated into a target language). If you happen to be learning one or all of the Scandinavian languages, the final multilingual label is always an interesting read (despite the mundane subject matter), as it gives you a little glimpse into how these languages are similar but different, together but apart, just as the peoples who speak them. Scandimix adaptations are a microcosm of Scandinavia on a bottle of lavender-scented liquid handwash. This article was written by Project Coordinator Daniel Field, Danish Account Linguist Didde Gaardsted and Senior Norwegian Translator William Hagerup.